Hello, I'm having an issue with my 2005 Chrysler Grand Voyager not starting. Get all dashboard lights, windows work, etc, but won't attempt to turn over. 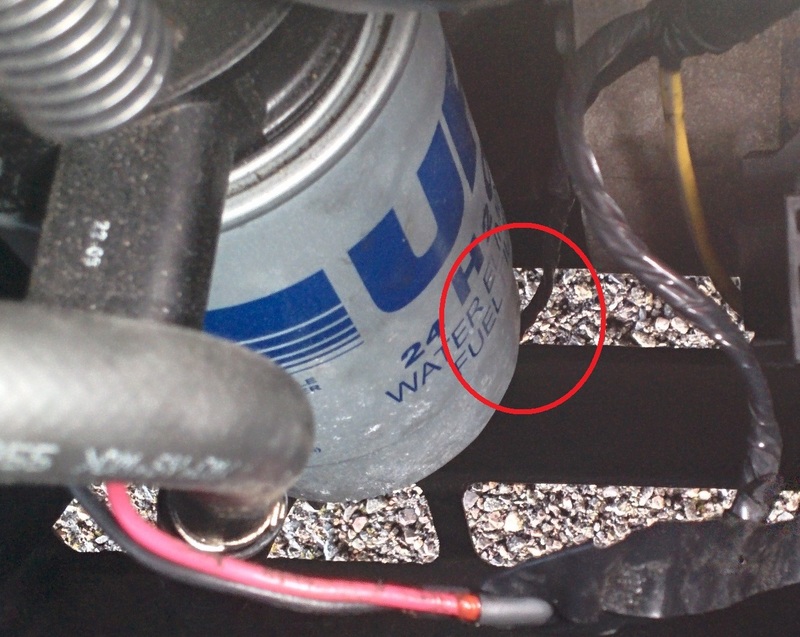 However, when I push the black wire around (circled in picture below) it usually starts. I think this is the starter wire? but not sure of the proper name. I think I may just need to clean it, etc. but I can't get to it. I thought it would unplug easily like the red/black wires do (in bottom of picture) but can't seem to get it off. Of course I'm just reaching down and can't see what I'm doing. Not sure if this is bolted on or what. Any advice would be appreciated. Maybe if I raise the car up it's much easier? Haven't tried that yet as I just have a jack to change a tire. I would look for connection at the solenoid to see if corroded or loose somehow especially the trigger wire right there. Thanks. I do have basic household tools, wrenches, screwdrivers, etc. Would prefer to do this myself to save some money if possible. OK - The suggestions: Job 1 is hoist the van and secure it properly and know how and where to place jack stands - no exceptions or failures for just that much! Get help if needed. Must be on proper surface also, level cement about the best. When you can get just a good look at the starter solenoid which is where the power/wires go, one full strength cable from the battery which will be "HOT" meaning has full battery power present to beware of! You should see general condition of wires there and a smaller one is the trigger wire which may be the one you've touched or close to it. I'd follow the smaller wire back from starter (might go out of sight in harness?) to see if it's burned, chaffed or what might be going on - maybe nothing. Don't touch anything yet with tools even if you find a problem while battery is connected. Know how to use a memory saver or to reset any toys and alarms it may have and know you probably will lose any computer memory so might not run well after done and codes not ready yet. If it was a simple something it would recover engine memory settings in time of cycles of use. If it constantly stalls needs more. That larger cable at solenoid on top of battery is full power as said. If you put a wrench/socket on that while "live" and hit wrench on other area metal you will make quite a show of a short up to real damage! If you (probably would anyway while there) take all wires off at the solenoid should put some PB penetrating oil on them first a couple hours before touching them. If those bust off you'll need a new starter. My point is that this is probably routine for a tech with all the stuff even for a bad area of wire needing to splice in properly a section as called for with correct wire almost while you waited of course depending on what's found if anything. Trying to be practical for you. The jack for the spare is junk and really emergency use only so forget that and add up just the things mentioned just to get under the thing that you may want to just do yourself if you find something obvious and save a buck minus equipment you just bought that you may never use again isn't saving a buck if the objective. I'd rather see you pay for diagnosis, just a shop and tech's time to pin down what this needs first then decide on whether YOU want to do it or perhaps all done with the check for something real simple? Thanks Tom. I figured out through trial and error that if I apply tension to the wire, the car starts flawlessly. So, I moved the cord in a way that there is always tension on it (not too much). Not a permanent fix, but will at least do the job until I can get a professional to do it. Can't know if that is THE wire or just part of others that matter. If and when known if that is in fact the trigger wire and failing at a connection that may or may not be just clean and grease or a new "pigtail" of wire the fix - not known if available if so as we don't know just yet. You seem OK for now but also know that's not a fix yet. Would have to inspect it in person to know the next step to be done with that annoying/obnoxious problem!